For the last couple days I have been laying roadbed and track for the Northern Pacific main line through Yakima, on my layout. 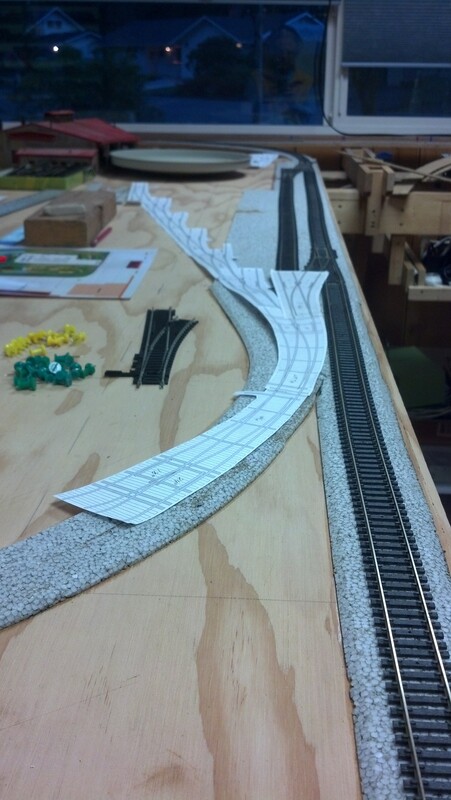 I now have to start building some curved turnouts that lead into the NP yard and the interchange track with the PCRy yard. You can see the paper templates I use to help identify where turnouts and track need to go. This entry was posted in Layout Construction and tagged Layout construction on December 11, 2016 by Capt.Brigg.